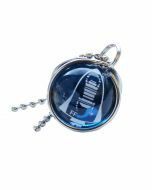 The Trackable Travel Bug® T-Shirt features the Official Geocaching Logo on the left sleeve and a nice big Travel Bug® with a unique tracking number on the front. The shirts are 100% cotton and fully trackable at geocaching.com! This is a very shiny bug! 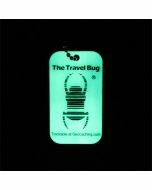 The Trackable Travel Bug® T-Shirt has a metallic silver foil bug that gives a very impressive shine! 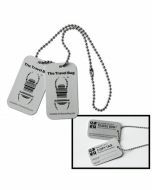 Trackable at Geocaching.com with the Travel Bug® icon.